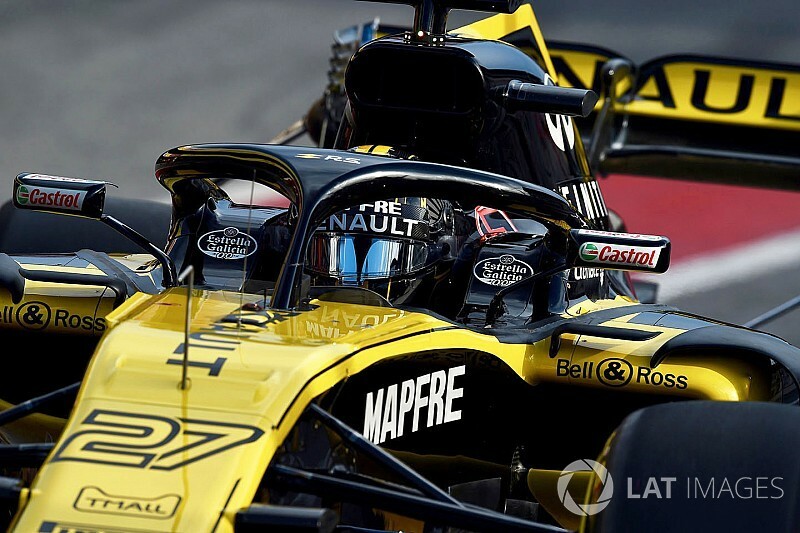 Renault's innovative developments to offset the aerodynamic impact of the halo on its new Formula 1 car are discussed in this clip from Motorsport.tv's weekly show The Flying Lap. Craig Scarborough and Peter Windsor talk about how the Enstone F1 team has specially modified the RS18's air intake and roll hoop structures to manage the turbulence created by the FIA's controversial new mandatory safety structure. 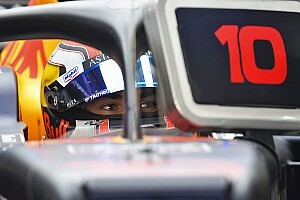 Scarborough also discusses how even the drivers' race helmets have been specially sculpted to further streamline the airflow coming off the halo into the air intake box behind their heads. "Renault have done two quite interesting things," says Scarborough. "The most obvious is they've put a little down-facing winglet on a strut on the roll hoop – just to grab the air and direct it down into the duct, which we don't see very often around the roll hoop area, so that's unique. "Then they've done something that's also quite clever. The drivers are now wearing Schuberth helmets, and they have a custom crown spoiler that comes off at the back. That now merges from the helmet perfectly into the headrest so the driver's head isn't affecting the airflow." Windsor and Scarborough suggest these developments, coupled with other innovations around the front wing and 'exhaust blown' rear wing during pre-season testing, show how sophisticated Renault has become since taking over the underfunded Lotus operation at the end of 2015, indicating that it is now finally getting back to the cutting edge of F1 development. 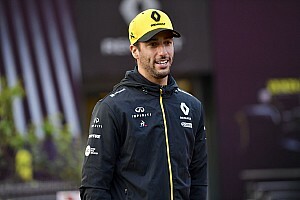 JA on F1 Season Preview 2018: Formula 1's turning point year?